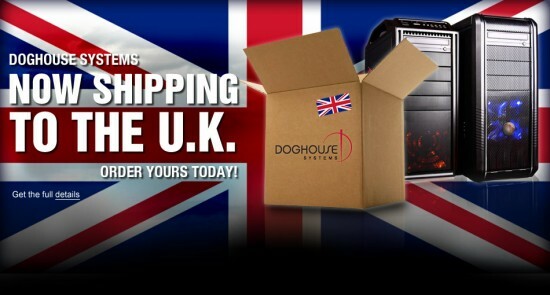 DogHouse Systems has announced that they are now shipping to the UK. Proud sponsors of World of Warcraft podcast ‘The Instance’, DogHouse Systems has an amazing reputation among PC gamers for quality and customer service. Whether you are looking for a desktop or laptop the Armor and Mobius ranges will not disappoint; small details such as configuring the correct DVD region and supplying UK power cables are just part of the service. You can also choose to have wow pre-installed onto your DogHouse, for UK customers this will be the EU version and it will be fully patched. Great news for us here in the UK! Now I can only say that I’ve made purchases from a few of these places, and so far I have no complaints. order to fight your battles as you could in the previous title.